Villa Nella is for rent near Menaggio and Pianello sul Lago on the northwestern shore of Lake Como, commanding splendid views across the lake towards the mountains. 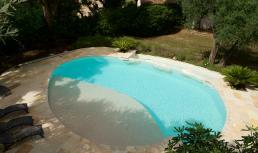 Holiday villa Nella comprises 6 bedrooms, 4 bathrooms, large private pool, Jacuzzi, sauna and WiFi internet! 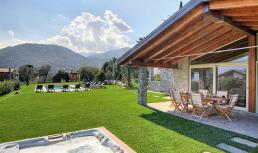 Villa Lombardi is for rent near Moltrasio on the western leg of Lake Como. This splendid Italian villa lies on the shore of the lake and has its own dock and boathouse. Villa Lombardi comprises 4 bedrooms, 3 bathrooms, private pool, sauna, air conditioning, WiFi internet and enjoys fantastic views across the lake! This magnificent villa lies within walking distance of the lovely village of Stresa on Lake Maggiore (Italy) with restaurants, shops and bars. Villa Gina comprises 8 bedrooms, 5 bathrooms, air conditioning, WiFi internet, its own chapel, a private pool and a private tennis court! Villa Como is for rent near the lovely town Bellagio on Lake Como with splendid views of the lake. Villa Como comprises 5 bedrooms, 5 bathrooms, private pool, Jacuzzi, air conditioning and WiFi internet!